As some of you may be aware, Difflock has changed hands several times in the past couple of years. It is now, once again, under new ownership and has been since April. The new owners would like to keep their ownership confidential owing to their involvement in other 4X4 related businesses but it is suffice to say they are very experienced and well respected in the 4X4 community. They also believe, unlike some of the other recent owners of Difflock, in the same principles as Simon and Peter, the founders of Difflock. 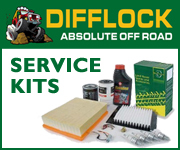 The new owners believe that the forum isn't supposed to be about them but it is about the community that use it and that it is a way to promote the Difflock Store which is the actual business of Difflock. To this end they intend to let the forum continue without any real interference. However they recognised that something needed to be done about the shop. The shop had to be taken down due to the change of servers, the system was also as old as the hills, and needed updating. Sadly it is taking longer to get the shop back up and running due to the large number of products being added but it is going to be worth waiting for. 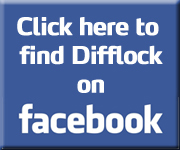 The owners would like to reiterate that Difflock is a forum for the members and will remain so. well thats nice to know . any ideas when the shop will be up and running again . Can we start a poll to guess who is the new owner(s) of Difflock. As I have already incurred the wrath of "AllHailTheAdmin", then perhaps I shouldn't be the one to start the ball rolling, but I think it is Lord Lucan. Do you think there will be Shergar burgers for sale in the shop? will the difflock mafia and difflock bad joke club be remaining? I think it will be the former. I understand they are still loading products, last count they were up to about 5000! Ah. The classic online shop mistake. Don't launch/re-launch until everything is available. Meanwhile, your customers are finding other suppliers. Get the shop running with the top 10% selling items. Worry about the fiddly stuff later. Customers are fickle and it's virtually impossible to get them back once you've lost them. Now it's none of my business but your web pixies are really making a considerable effort to destroy any credibility the Difflock Online Shop ever had. It seems to me the development has taken an inordinate amount of time for what is a relatively simple project. Online shop templates, even for PHP based forums like this, are readily available and even the most basic would have had you up and running with something generating income long ago. I don't know who your web developers are but they're taking the pÃ­ss and I hope for your sake they're on a fixed price contract. I would have had serious words with them a long time ago perhaps even shown them the door. 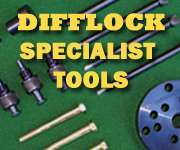 Difflock is an excellent resource but in order to survive it must make commercial sense. The longer this development continues the closer you get to the point where the development costs will outweigh any possible return and the further you distance yourself from your customer base, it's a law of diminishing returns. Don't the words "LAUNCH DATE : 9th DECEMBER!" give a slight hint!! The banner you are clicking on is not a link, it is a banner informing you when the shop will be open, clicking the banner won't work because the shop isn't open. 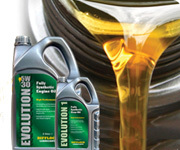 Just to try and give you a little bit of background, when we took on Difflock there where 250 products, and it had been like that since the year dot, product information was incorrect and out of date, spelling mistakes etc..
We had another website ready to go however, we took the decision to start from scratch and have a bespoke web site built, when we launch we hope to have in excess of 7000 parts and rising to over 30000. If truth be known we're probably jumping the gun even now, no doubt there will be issues and problems but we'll iron them out asap, we've also opted to go for a full launch rather than a soft launch, we don't know if that's right or wrong only time will tell. One thing is for certain we have a very professional company building this site and we've been populating the site ourselves, using a group of full time staff. Whilst we are not boffins here we do know the 4wd business and hopefully this will show. If the banners and ads aren't links then they shouldn't be clickable. Internet selling rule 1. Never, ever announce a launch date without being absolutely sure you'll achieve it. 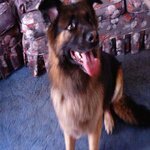 The forum re-direct links still don't work.